Bedbugs get their name because they like to live and feed in beds. Bedbugs like to travel and will hide in suitcases, boxes and shoes to be near a food supply. They are elusive, nocturnal creatures. They can hide behind baseboards, electrical switchplates, picture frames, even wall paper. They come out at night for a blood meal. Bedbugs like to hide in small cracks and crevices close to a human environment. They can be found behind baseboards, wallpaper, upholstery, and in furniture crevices. 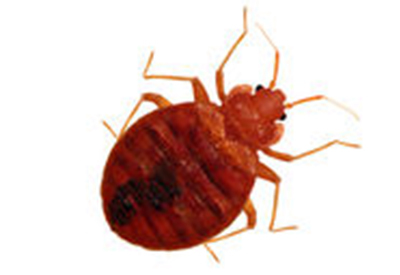 Although bedbugs can dine on any warm-blooded animal, they primarily dine on humans. Bedbugs do not transmit diseases, but their bites can become red, itchy welts. Vacuum suitcases after returning from a vacation. Check your bedsheets for tell-tale blood spots. Bedbugs are elusive creatures, so it is imperative to seek professional pest control to address an infestation. to single family, multi family homes and businesses. This literally amounts to thousands of units that we have successfully treated. So, for information and cost in ridding yourself of this nightmare, contact Arrest-A-Pest at info@arrestapest.com or call us at 1-800-338-PEST.